After about 3 months in the majority of cases, a participant experienced an adjustment or regression period after Auditory Integration Training will typically begin to function better than before. In many cases, a participant may demonstrate remarkable gains and new successes. Anytime Berard AIT brings benefits, it is always a combination of the Berard AIT and the child's own efforts and opportunities in life after Berard AIT. The more ones does with Berard AIT's results, be mild results or striking results, the greater the gains can be. During Berard AIT and for 3 or 4 months after, parents often see both positive and negative changes as the brain adjusts to the hearing retraining. The brain is like a computer that has peculiar settings to compensate for basic component problems. It’s been compensating for distortions, sensitivities, and information-sending problems for years. Berard AIT makes changes in basic components and can cause changes at a deep level that impact many skills and processes. Since the brain is miraculous, and not a machine, it adjusts at a neural level on its own to bring optimum function and efficiency to the system. Considering how long the ears and entire system have been distorted, working with “peculiar settings” for years, this adjustment for the better takes place very quickly! Many children experience clear and dramatic benefits, while others are simply calmer and more comfortable. The child's own voice may sound different. Family voices may sound different to the participant after AIT sessions. The participant may be experiencing these changes simultaneously and adjusting to them just as an infant or very young child would - slowly, over time while adjusting to new situations, exploring new sensations, experiencing new emotion after Berard method of AIT. Each child's experience of AIT is unique to that child's circumstances and biology. Many parents read or hear about an "adjustment period" or "regression period" during and after AIT. It is very important to know that NOT all children who participate will go through such an adjustment or regression period. has been POSITIVELY impacted by AIT! Why Might There Be An Adjustment Period After AIT? Berard AIT helps this system function more optimally than before. It is clear that changes in the vestibular system, proprioceptive system, visual system, and the cerebellum can be involved in the benefits of AIT. - touch, smell, vision, taste, proprioception - all of these may be impacted. Sensory processing issues can improve. The VESTIBULAR system is housed in the ear but impacts functions of the body globally. Berard AIT stimulates the vestibular system. The CEREBELLUM is a connection between the vestibular system and the cerebellum. Functions that are regulated by the cerebellum may also improve because the cerebellum is a connection between the vestibular system and influences balance, motor sequencing and planning, motor coordination, sense of direction and orientation in space and rhythm. This area can also contribute to a decrease in anxiety. AIT participants often experience benefits in receptive and expressive language. The list goes on and on, as does the list of possible upsets as the brain reprocesses after AIT! An adjustment or regression period typically does not last more than 3 months for most children. Every individual is different, so there are no set rules about what will happen. For many children, it looks as though the strength of negative effects is proportional to the eventual gains to come. For other children, no clear changes are seen for several months, and then positive changes seem to happen all at once. Periods of adjustment or regression are written about in parent success stories documenting in two popular AIT books (see Dancing in the Rain, Sound of Falling Snow, Sound of a Miracle). These periods are described by parents as occurring at 7 days, 1 month and the first 3 month intervals. 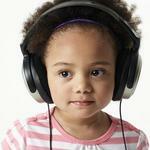 What Can a Parent Do If There is an Adjustment Period After Auditory Integration Training? Be patient with your child when doing AIT sessions - is it they who are experiencing all these potential changes! quality attention, private time, reassurance and extra affection when needed during this period after Berard AIT. Interpret any regression or adjustment period as an indication that Berard AIT has had a POSITIVE impact on your child's or the participant's auditory system! Don't overload your or your child's schedule post AIT. Keep your child's or the participants schedule and family life to a manageable level. Don't add additional stress or unnecessary activities during the 10 days of AIT sessions. Provide teaching opportunities whenever possible for your participant to handle new circumstances and emotions appropriately. Discuss your child's changes with the school or day care / child care facility in advance and prepare them with ways to accommodate your child's needs. You may find that the participant's occupational therapist, speech Therapist and other types of therapists may be astonished at the gains they observe and the rate progress after Berard AIT - another exciting bonus! Participants who have done an Audiogram or Listening Test may see their post-AIT tests and think that significant changes have not taken place. Most of the time, the variability within each ear’s test will narrow after AIT. Peaks and valleys usually flatten. One ear often looks more like the other ear after AIT and a general normalization occurs. Though this is usually the case, parents should not use the tests alone to determine if AIT has been successful. It’s critical not to do anything to disrupt the effects of AIT, whether you can see the effects, or not, on a graph. During AIT session and after AIT is done, it is critical to avoid all headphone use for listening to music. All family members, including extended family, all teachers and therapists must know this is the case. Parents may want to ask their AIT Practitioner for a note about this subject, if they do not have a written statement to that effect, and make many copies for their use. Parents may wish to get others to sign statements saying they will not compromise AIT in this way. Avoid any generic and take-home listening programs available via the Internet and from another Therapist after AIT for about one year. In order to protect the changes made to hearing and to protect the system’s evolving adjustment to these changes, parents should NOT use such programs. 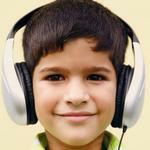 Parents may be tempted to use other sound-based therapies to speed up or change the adjustment period. Unwitting therapists may suggest that parents do this. Do not agree to this. Parents may think that since no obvious changes are visible in 3 months after AIT, that it’s time to try another sound-based therapy. Parents must not do any of these things and must give the adjustments that will happen in the auditory system and brain enough time. The changes in the middle ear function often happen quickly but the brain’s response to this takes many weeks and even many months.